Daisy became a member of our family in late December 1998. Lindsey wanted a puppy and decided to use her birthday and Christmas money to purchase one….”the perfect one”. For three weeks in December, we pursued puppy perfection and came up short. As Christmas week approached, I suggested we put a hold on our search until the holiday was over. Lindsey reluctantly agreed, and true to her nature, waited patiently through the holiday hoopla. A couple of days after Christmas, Lindsey, Garrett (he was in search of a ferret) and I made the rounds of pet stores and animal shelters in Cartersville, Kennesaw and Marrietta. The Perfect Puppy proved to be more difficult to find than the Perfect Ferret (Garrett had had his eye on Harley, a special silver and black ferrett in the Cartersville Pet Store for several days and without hesitation, proudly adopted Harley with Christmas Dollars). Lindsey could feel what the Perfect Puppy would be like, but she couldn’t really explain the feeling. “I’ll know when I see it”, she would say. After two full days of our post-Christmas puppy quest, we were still without a cuddly critter. Our third day would include a visit to an animal shelter in Atlanta, but first we would try the Cartersville Shelter one more time. We entered the holding area, and in a large middle-row-kennel…placed at eye level to Lindsey and Garrett, were seven tired and hungry, wet and muddy, black and white puppies. They shivered pitifully; piled one against the other for warmth and comfort. One of the pups left the pack and walked to the kennel gate, where she was face to face with Lindsey. The little puppy cocked her head to the side, raised one ear and locked blue puppy eyes on my little girl. “This is the one, Mommy. She’s perfect.” And she was. 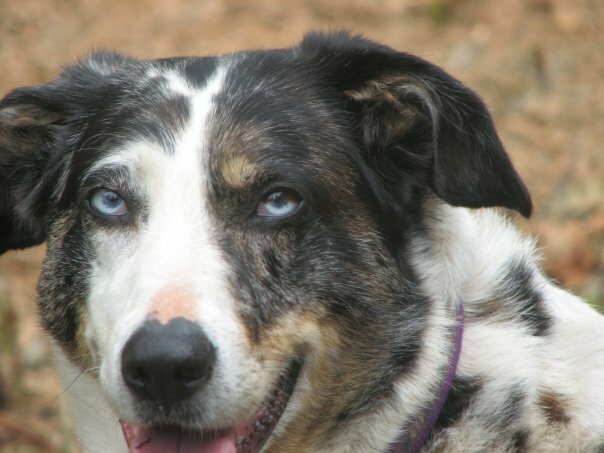 Our Perfect Puppy grew to be a fierce paintball competitor (she became a living legend in the game)…she was a protective beast where the kids and I were concerned….and a gentle mother to the many stray cats and dogs discarded on Shotgun Road. She was the most beautiful doggie in the world, and I told her so each and every day. And she was brave. Daisy’s glory days began fading a few years ago, after she was hit by a careless man in our driveway. Paitball games ended, hikes with Garrett in the woods ceased. The cool waters of Two Run Creek no longer lured her. Kicking a soccer ball with Lindsey became a distant memory. Daisy was content to snooze in front of the fire while Lindsey rubbed her ears and scratched her back. We were content to have her there…her soft snoring a sound of comfort. 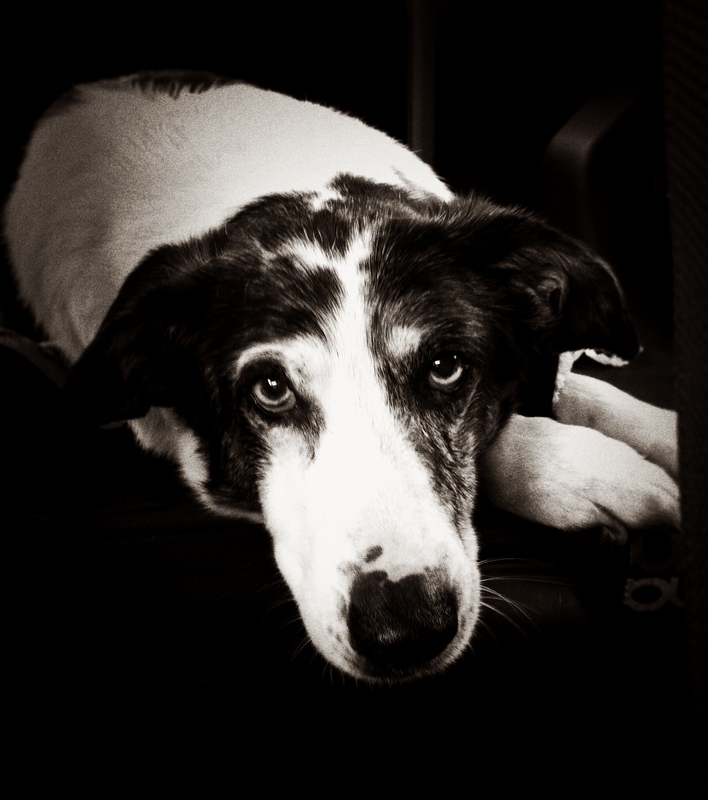 Today, Lindsey, Garrett and I reluctantly said Farewell to our Brave Girl, the Most Beautiful Doggie in the World. With broken hearts, we kissed our Perfect Puppy one last time and then we allowed her to sleep. Rest well my Sweet Daisy Girl. Thank you, Rachel. It’s tough, I woke this morning still not believing. It’s so hard when we have to say good-bye to our fur-babies. I lost mine a year ago in December. Sometimes I still feel him cuddle next to me. I pray you all feel peace in knowing your sweet Daisy had the best family a doggie could wish for. Thank you, Sherry. She brought us great joy and loved us unconditionally. There is a huge void in my heart now. I’m sorry for the loss of your loved one. Sweet baby girl. We are so grateful that we got to pet her and love on her the day before she rested. Dave and I were so shocked to hear she had gone down hill so quickly. You are in our thoughts. She had been very sick for the past two weeks. I really feel like she held on until Garrett was home. All three if us were with her in the end. It’s still so difficult to accept, even though I am happy knowing she no longer has pain.